A 22 year-old Nigerian based in Abuja has thrown in his hat to run for the presidency in Nigeria coming 2019. 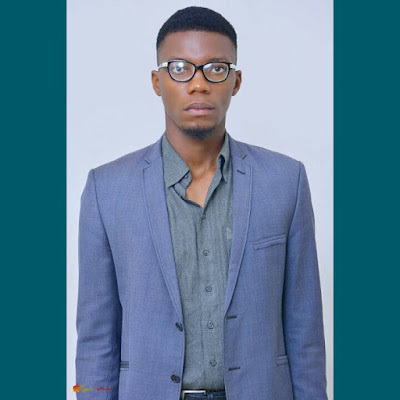 Bmanchi is a 22 year-old Nigerian based in Abuja who has taken the advantage of the Not Too Young To Run bill recently passed by the Senate. In this interview with Luckynewsinfo , Bmanchi who has been very vocal on the political terrain in Nigeria, gives an insight on why he wants to become the President of the most populous black nation and what he would offer the country. 1. Why did you decide to throw in your hat for the presidency of Nigeria? Nigeria is blessed, we are gifted with multiple natural resources, we are popular,we possess what other states and nations do not possess, we are the lead African country. It is pathetic & disheartening that we've lost our glory as the giant of Africa. We must come to the realization that Nigeria is our home and we must strive against all odds to liberate this country. there was a time when Nigeria was wonderful, I still believe my country can be wonderful and great again, the future of Nigeria lies in the hands of the youth. 2. Do you think you have the requisite experience to rule a nation like Nigeria? I've been in leadership positions since time immemorial, and from the lessons life has taught me, I can say boldly that I have adequate experience to lead Nigeria. 3. How do you think you can warm your way into the heart of Nigerians coming from where you are based? I am a humble person from a humble background, I've been able to master good social & people's skill to influence people. I've also lived in various part of Nigeria wic enable me to communicate & interact with people of different tribes effectively. 4. Some Nigerians on social media think you are just looking for relevance. How do you react to this? My Intentions are genuine, I am on a path of real change. 5. What would you say stands you out as the desirable candidate to run for the presidency? 6. What do you think stands you out from other candidates? The fact that I'm confident, young, intelligent and a man of the people, for the people. 7. What would you do different from what the current president does? I'll Make sure that our health facilities are improved so that government officials will have no need to travel out of the country for treatment. I will also improve agriculture in Nigeria, by empowering farmers , the goal is to make food items very affordable for the common man. 8. What are your political antecedents that can enhance your quest for the presidency? I have contacts of Several Student Union Government in Nigeria, soon I'll start my tertiary institution tour to promote my agenda. 9. Give us a brief manifesto on what you would hope to achieve in the first six months if you are elected Nigeria's president? 10. Do you think you have what it takes to manage a multi-country like Nigeria? 11. How would you tackle the endemic corruption in Nigeria? Corruption can be stopped if there is stability in our economy, i'll improve the economy & employ the right people to work with. 12. Are you affiliated with any political party in Nigeria? I recently created a new party - National Youth Democratic People's Party (NYDPP). I'm affiliated with just this party currently. 13. What is your take on the long absence of the president from the country on medical vacation? It is quite obvious that Mr President is not fit enough to lead this country. 14. The APC came into power on the promise of a change. Do you think that change is being achieved? The change they promised Nigerians is entirely different from what we hoped for. The truth is the APC government are Underperforming. 15. Tell us a bit about yourself? I come from a humble background, i've got wonderful family & friends. I am a sports enthusiast and I love good music. Do you think this young man stands any chance at becoming Nigeria's president come 2019? Or is he just making himself relevant in the scheme of things? Only time will tell.